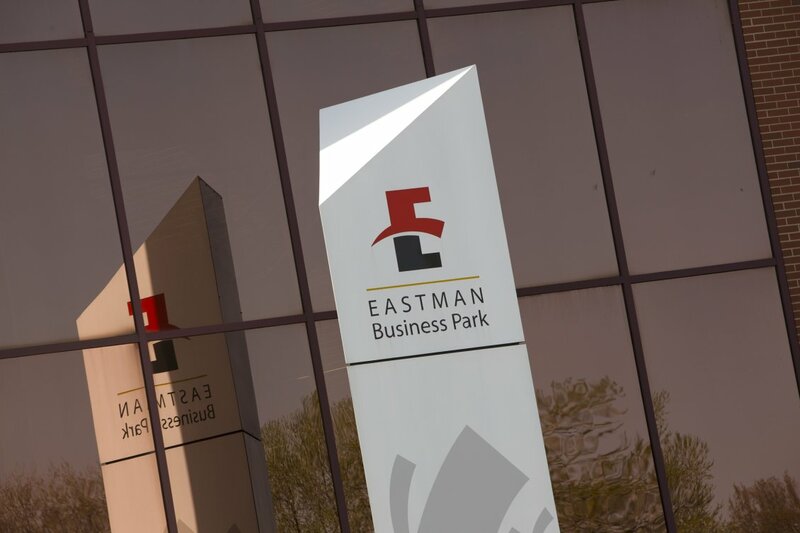 On the same day NYS Governor Andrew Cuomo came to Rochester to affirm Eastman Business Park as a key to upstate New York's revitalization effort, Wall Street Journal reporter Keach Hagey provided evidence for the Park's growing return to relevancy. In an article that appeared in yesterday's WSJ, “Startups Find Home in Kodak's Vast Industrial Space," Ms. Hagley interviews several people who work for some of the 60 companies now located at the former Kodak Park industrial complex. One of them is Jack Wade, a chemical engineer and former Kodak employee who is back in his old office as a project manager for Columbia Care LLC. The New York City-based company is growing, harvesting, processing and dispensing medical marijuana from a 60,000 square foot facility that once housed a film manufacturing operation on the 1,200 acre campus. Ms. Hagey reports that 60 companies now employ 4,800 non-Kodak workers at EBP, many for small start-up companies who are taking advantage of the Park's vast infrastructure and Rochester's highly-skilled workforce to make products ranging from touch screens for smart phones to pasta sauce. In the article, EBP vice president Dolores Kruchten comments that EBP serves both as a commercialization accelerator for start-up companies as well as an advanced manufacturing facility for established companies. “We have this site and these facilities that have capacity beyond what Kodak needs," Ms. Kruchten is quoted as saying. Many of the companies sited here are renting Kodak equipment for their processes, Hagey says. One is Graphenix Development, which is using a roll-to-roll printing and deposition machine to make ultracapacitors for vehicles that run on batteries. “Right now, all these batteries are made in China," says Rob Anstey, Graphenix Development's founder and chief executive. “This is an opportunity to bring energy storage back to America." Ms. Hagey writes that even the community is sensing a comeback for the research and manufacturing complex. In the article she interviews Bill Collins, president of the Maplewood Neighborhood Association, a group of residents who own homes near the park. “Medical marijuana may not be everyone's cup of tea," Collins says. “But people are just happy that there are businesses that want to move in." To read Ms. Hagey's complete story, click here. You can also follow her on Twitter here.